Living in a small sliver of the language pie Rosetta Stone enlarged, we owe a debt of gratitude to the public company. Rosetta has been shelling out billions of marketing dollars for years now. The message on language retention is getting through…. maybe. Two recent conversations reinforced what we at Red Angle already know – communication of any kind (teaching, preaching, leading, managing) improves when it’s relevant, specific, entertaining and memorable. 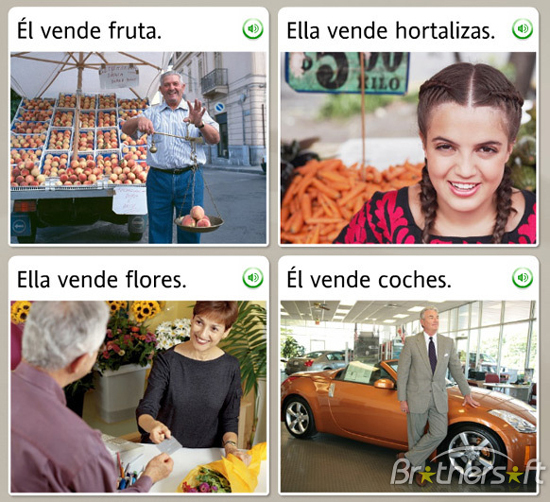 Rosetta Stone struggles with these 4 metrics. 30+ languages serving corporations and individuals, young and old, highly educated and not-so-much…. It’s hard to customize for relevancy, specificity, entertainment and memorability when you are trying to serve everyone everywhere. You can’t go out on the edge when you’re aiming straight down the middle. I was speaking to a Corporate Safety Director of a Top 10 North American construction firm. 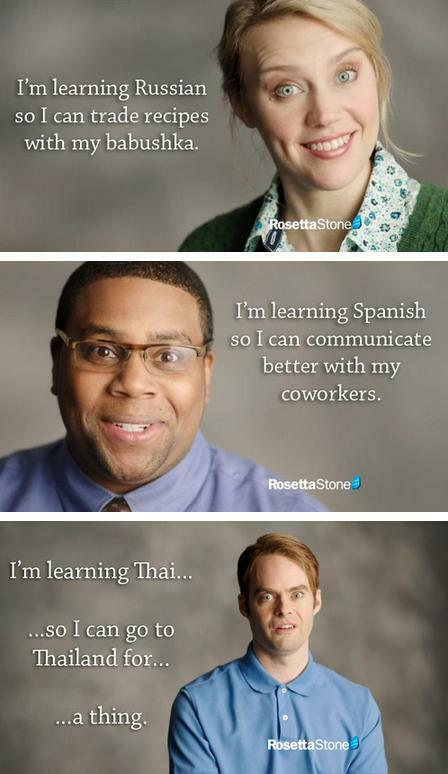 His firm is piloting RS Spanish in the safety department. So far… engagement levels are low. Me: Are you testing Rosetta now? Him: Uhhh, you’ll like this. Him: I learned how to order fish today. Me: How’s that relevant to Construction? Any training that fails to be relevant, specific, entertaining and memorable will only stick for so long. A few minutes, really. The second conversation occurred while I was waiting to see Heidi Klum and the America’s Got Talent gang last week in Chicago. There was an outgoing bilingual Mexican in front of me. She tossed in a wee bit of French during one outburst. When are you going to take another crack at it? Whether it’s language training or that email you’re about to write… make it relevant, specific, entertaining and memorable. Or at least 2 out of 4. 50% is a nice round number. And about the national divorce rate. ‹ Chéquelo… New Blog Design. What do you think?